Do you want to show your photo collections in a fun way? You can do that by creating morphing animations with your photos. You can combine multiple photos and make them morph from one photo to the next. 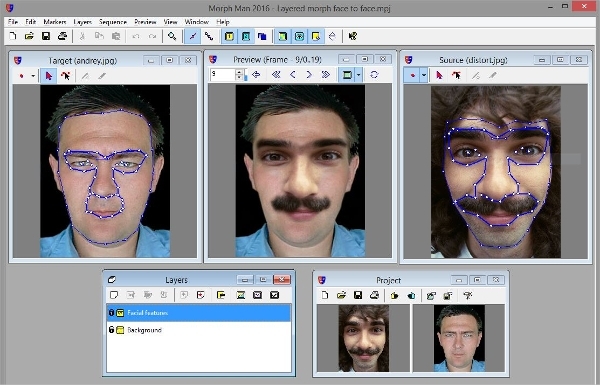 You can even combine multiple faces and create a new face by morphing them. Photo morphing software can help you to do that. This software offers cool morphing animations for your photos, so that you can show multiple photos in a fun way. For instance, you can show many photos of you, from the time you were a baby until the time you are an adult, and show the gradual changes with morphing animations. Abrosoft FantaMorph provides a convenient photo morphing tool that allows you to create beautiful photo morphing pictures with advanced morphing animations. 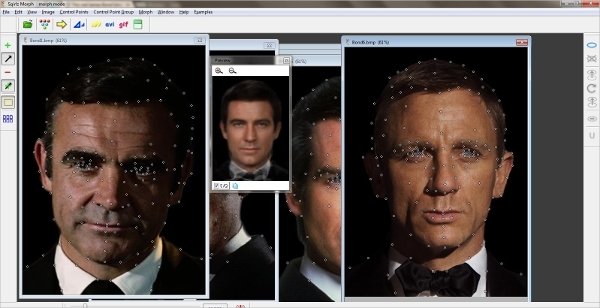 It offers various features, including new layer morph, improved rendering engine, face extractor and locator, and camera tool. It is available on Windows and Mac. Morpheus Photo Morpher is a photo morphing software that allows you to transform one picture into another picture in a smooth morphing animation. It features support for unlimited pictures, sharing morphs, fast rendering engine, and picture dotting process. It is available for Windows and Mac. 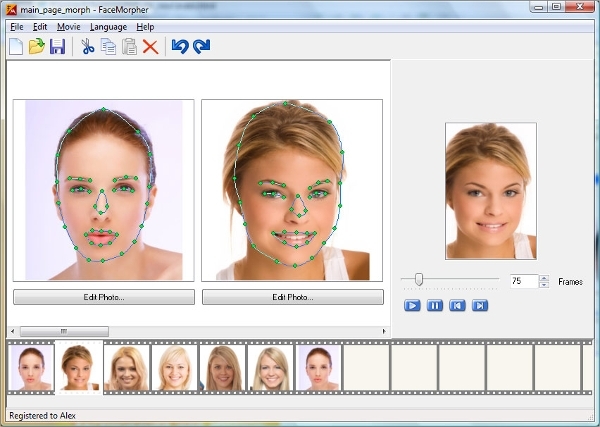 FaceMorpher is a software that allows you to create funny face morphing animations with smooth animated transitions. 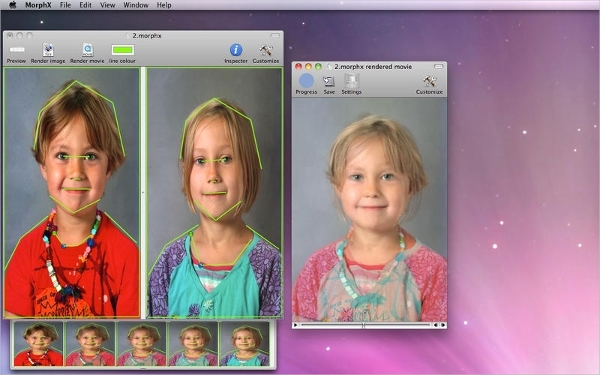 It locates the basic spots on your photos automatically to ensure smooth transitions between each photo. It is available only on Windows. EtinySoft Magic Morph allows you to animate your still photos into a wonderful moving animation, with cool morphing effects. It features multithread pyramid algorithm, professional warping and morphing tools, real time preview, and support for various input and output formats. It is compatible with Windows. MorphThing is a photo morphing software that allows you to combine two photos into one photo, creating a new face. 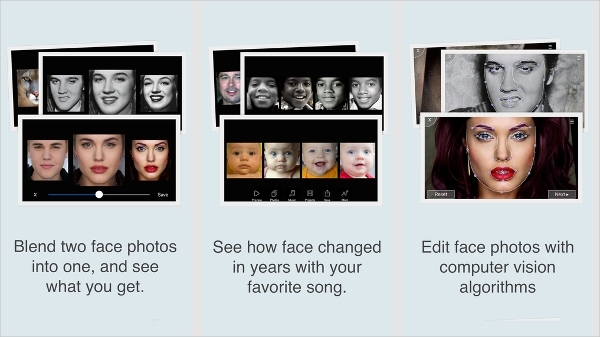 This software can also be used to guess what your baby will look like if you combine your photo with another photo. This software can be used online, directly from your browser. Stoik MorphMan is an intelligent photo morphing software, which allows you to create photo and video morphing animations with various special effects. It offers various features, including onion skin interface, edge detection, vector shape tools, live preview, and motion estimation. It is available only on Windows. 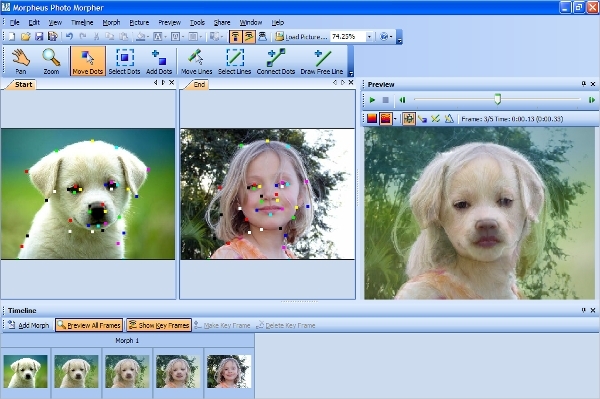 Most photo morphing software is available for Windows. But, there are also other photo morphing software that is available for other platforms as well. Morph Age is a professional image morphing software that allows the creation of warping and morphing animations on your Mac OS X. It features morphing animation control, non-linear transformations, sub-pixel accuracy, zooming, colorizing, layers, and real-time rendering. 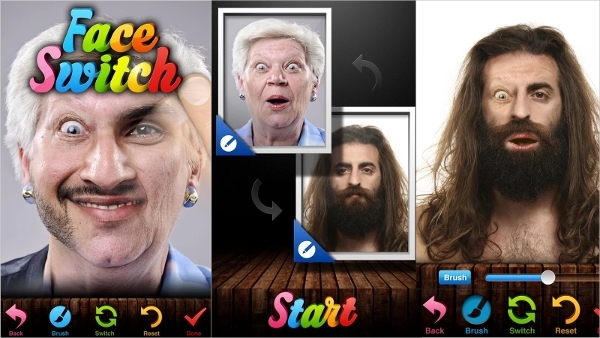 Face Switch is an Android app that allows you to morph two faces in the way that you want it. It offers various features, including brush stroke technology, automatic in-photo face detection, intuitive swipe controls, easy switch, and flexible photo sharing. FaceFilm is an iOS app that allows you to morph your face photos and create a slideshow animation for it, along with the capability of adding music into your animation. This photo morphing app also allows you to share your photos with your friends in social media. 3Dthis is an online photo morphing software that allows you to create a morphing animation between two different photos. 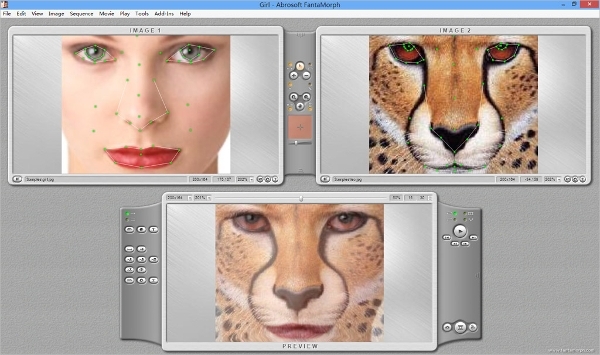 With this software, you can configure the frame and the duration of your morphing animation, and then download the resulted photo immediately. MorphX is an image morphing app that is available for the Mac OS X platform, allowing you to morph multiple images or movies together. It can locate the basic morph line automatically, allowing you to create a smooth transition from one photo to another photo. It is compatible with the latest version of Mac OS X. What is Photo Morphing Software? Photo morphing software is a type of software that allows you to combine two or more photos with cool morphing transition effects. The transition between one photo into another photo is rendered in such a way that makes it smooth and beautiful to look at. Another function of photo morphing software is face combination. It can also be used to combine two different faces and create a new face out of them. You can use this software to present your photo collections to others in a fun way. Often, people are using this software to create a transition effect for their younger and older photos, to see the gradual changes in their face throughout the years. 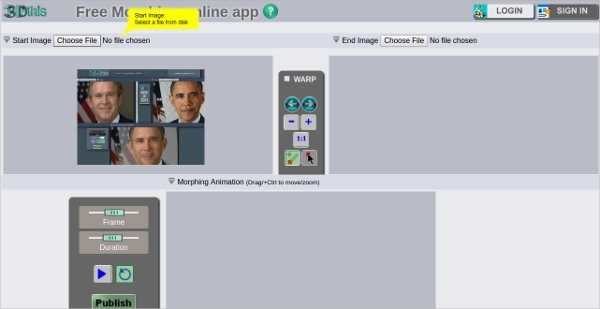 How to Install Photo Morphing Software? Installing a photo morphing software is as easy as downloading the installation file from the official website of the respective software, and then running the installation file on your device. If the software is available as an online service, you don’t need to install the software on your device. Instead, you just need to visit the official website of the software and use the software right away. Showing your photo collections with morphing effects can become a really fun way to give your friends and family a good laugh. You can show your parents the transformations that they have from the time they were young until the time they are old. You can show your friends the transformations you have from the time when you were a baby until the time you are an adult right now. The morphing transition can make a really convincing transformation of your photos. 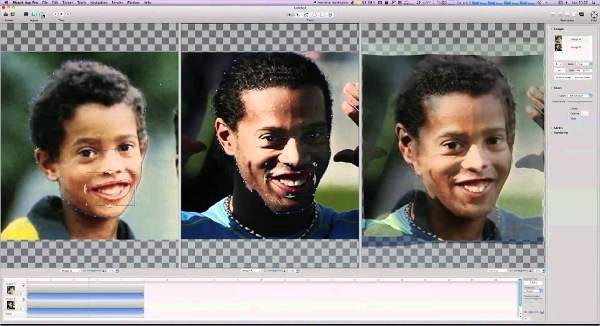 With photo morphing software, you can show your photo collections the way you want to show it. The more photos you have, the more fun it will be for you to morph your photos.